Avira is offering a free 3 months valid license for Avira Premium Security License Suite. This is the Promotional offer. The new Avira Premium Security Suite protects you in a comprehensive way against the dangers from the Internet. It offers you numerous advantages from the Avira AntiVir Premium. The Suite has an extra FireWall as well as an AntiSpam and a backup function in addition to the award-winning virus protection. 1. Visit This Avira Promotional offer page. 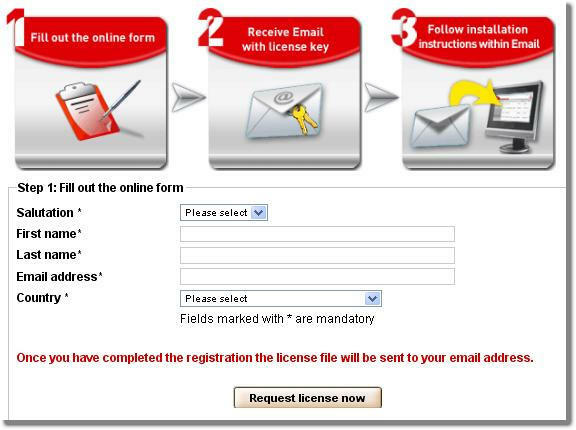 2.Fill out the online form with your mail id and click on Request License now. 3.After submitting this form, you will get the Email from them including Genuine License key of Avira Premium Security Suite for 3 months. 4. Download the HBDEV.KEY to your local drive and Start Installation of Avira Premium Security Suite. If you don’t have it then you can download it from here. Now you’re good to go. Install the security suite and enjoy it for 3 months for free.